Great River Hospice House in West Burlington, IA. She was born on April 24, 1929 in Marshall, MO, the daughter of Jack and Elsie Matchler Grandstaff. In 1946, Ida was united in marriage to Jap Richard Huston. He preceded her in death in August of 1954. She later was united in marriage to Charles Stamper and he preceded her in death on March 7, 1996. Ida enjoyed spending time outdoors working in her vegetable garden and watching the birds. She also enjoyed making embroidery and macramé projects and watching Animal Planet and Judge Judy on television. Ida was a take-charge person who loved caring for her family and making sure everything was going right. She is survived by her son, Bradford L. (Sherry) Huston of Keokuk, her step-daughter, Linda Stamper of Atlanta, GA, eight grandchildren, Tim (Deanne) Huston, Shawna (Brendon) Myers and Christopher (Autumn) Huston all of Keokuk, Steve (Jessica) Huston, Christine Huston and Debbie Huston all of Cedar Rapids, IA, Michelle Boyle and Nick O’Shea both of Keokuk, numerous great grandchildren and great-great-grandchildren, including a special great-great-granddaughter, Jalee Matous. She is also survived by four brothers, Bob (Doris) Grandstaff, Troy (Pat) Grandstaff and Charlie (Carolyn) Grandstaff all of Missouri, and Carl (Joann) Grandstaff of Kansas, three sisters, Virginia (Doll) Campbell, Melvina (O.D.) Maglocklin and Opal Harrison all of Missouri. 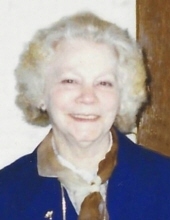 Besides her husbands, Ida was preceded in death by her daughter, Sandy Huston Boyle O’Shea, her step-son, Charles A. Stamper, two sons-in-law, Tim Boyle and Andy O’Shea, one granddaughter, Gina Boyle, one great-grandson, Michael Boyle, four brothers, Ralph, Marvin, Jim and Leroy Grandstaff and three sisters, Anna Mae Grandstaff, Margaret Grandstaff and Marybell “Tini” Walker. Visitation was held from1pm – 3 pm on Wednesday, January 30, at the Vigen Memorial Home in Keokuk with the family meeting with friends at that time. Burial will be in the Keokuk National Cemetery at a later date. "Email Address" would like to share the life celebration of Ida Blanche Stamper. Click on the "link" to go to share a favorite memory or leave a condolence message for the family.